The Chinese Communist Party’s internal disciplinary agency has published videos showing the confessions of four senior officials implicated in a massive corruption case concerning China’s Welfare Lottery Center. The confessions, released Nov. 9, have been followed by further reports that implicate a total of 14 officials in the embezzlement of 136 billion yuan ($20 billion). However, the CCP Central Commission for Discipline Inspection (CCDI) has denied the veracity of the subsequent reports, saying that “exact figures are inconvenient to publish at this time.” This has been widely understood to mean that details of the case can’t be revealed because of political sensitivity. The four officials shown in the CCDI’s confession videos are Bao Xuequan, who was director of the Welfare Lottery Distribution Management Center (WLDMC), before being transferred to another agency in November 2012; Wang Suying, who served as the center’s director from January 2015 to May 2017; and Wang Yunge and Feng Lizhi, who both served as WLDMC deputy directors. All four were investigated and arrested after they left the center. Bao and Wang were arrested in August 2017, and Wang and Feng were arrested in September and October of this year. According to the CCDI branch in the Ministry of Civil Affairs, some of the 14 officials involved in the case have a more senior rank than Bao, the Chinese-language Epoch Times reported. Lotteries in China are operated by two government agents. One is the WLDMC, which is subordinate to the Ministry of Civil Affairs. Another one is the Sports Lottery Distribution Management Center, affiliated with the General Administration of Sport. In this case, the most senior officials who involved are from the Ministry of Civil Affairs. They are Li Liguo, former Minister of Civil Affairs (June 2010–November 2016), Dou Yupei, former deputy Minister of Civil Affairs (January 2006–November 2016), and Qu Shuhui, former CCDI branch director in the Ministry of Civil Affairs (2008–2016). After CCDI released the videos, almost all Chinese media outlets published commentaries mentioning the officials and the embezzlement allegations. About 300 million Chinese regularly buy lottery tickets, according to the Ministry of Civil Affairs. In 2017, the Welfare Lottery’s revenue was about 216.98 billion yuan ($31.65 billion), while revenue at the Sports Lottery was 209.69 billion yuan, accounting for total annual revenue of 426.67 billion yuan or $61.4 billion. 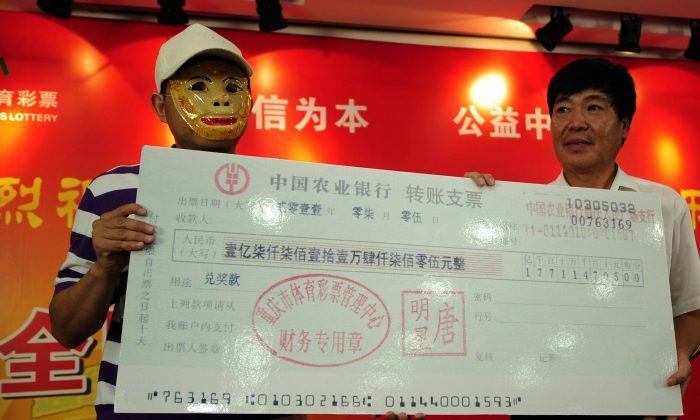 In a 2015 audit, Chinese authorities reviewed records involving 65.8 billion yuan in lottery funds, and found irregularities with 16.93 billion yuan, such as improper accounting records, improper borrowing by officials in lieu of required processing, and false reimbursements, according to CCDI reports. In the case of Li, the former civil affairs minister, investigators found that he kept 11 mistresses in different parts of China, and gave them over 1.125 billion yuan (about $162 million) between July 2005 and July 2015; the money was reportedly stolen out of lottery funds, according to Chinese media. During this period, he gave nine of his women 15 sets of luxury apartments in Beijing, Tianjin, and Zhuhai. Despite the CCDI’s reluctance to publish figures, Chinese media reports indicate that the estimate of 136 billion yuan embezzled is reasonable, given the availability of related data. Meanwhile, Chinese netizens have mocked the CCDI’s claim that figures were “inconvenient” for the anti-corruption agency to publish. “It can’t be published because the real data is too frightening,” @Tiaodeng KanWugou said on Weibo, a Twitter-like Chinese social media site. “The corruption seemed to have persisted over 20 years, and the amount embezzled must be huge. They don’t dare to publish the data to avoid freaking people out,” @wenti123 wrote. Posts by “insiders” exposed the means of fraud in the lottery system, but were rapidly censored. One method relies on the fact that the welfare lottery is a computerized system, and that all the data is kept on the WLDMC’s servers, according to one “insider.” The system doesn’t use receipts, and consumers aren’t provided invoices unless specific requests are made. WLDMC officials erase some of the sales data after receiving the cash, the insider also said. Without records, the money isn’t registered in the system and can be pocketed by officials. Because the process involves several different departments, the corruption must be coordinated by high-level managers. Another method is more direct: Because winning lottery numbers aren’t machine-generated, but are chosen by the system operators, and because lottery participants are anonymous, the winners often end up being people who work for the WLDMC, or their relatives. Because of Communist Party censorship, The Epoch Times couldn’t verify the insiders’ claims.